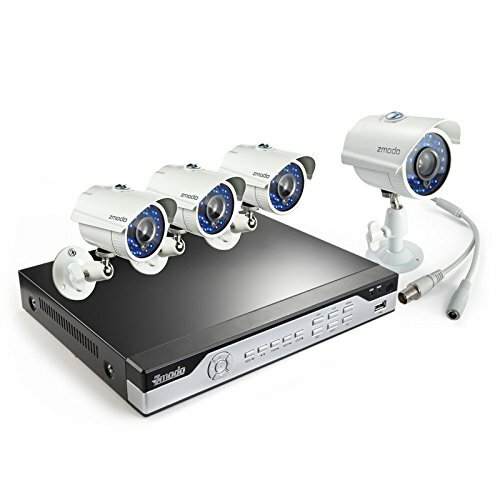 4 Channel 720P NVR System with 4 HD 720p Cameras. Hard drive not included. 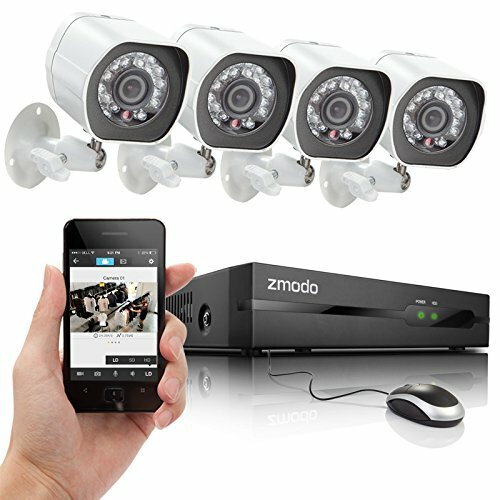 Our modern and sleek security system comes with everything you need: an 8-channel NVR, eight 720p weatherproof cameras, 8 newly designed camera cables with brackets, installed 1TB security-grade hard drive , and the needed power supplies. 600TVL High Resolution Cameras. 1/4" Color CMOS Image Sensor. 6mm Fixed Lens. ZP-IBH15-S1. 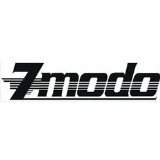 works with Zmodo sPOE NVR ONLY. The PKD-DK4216-500GB is an advanced H.264 smart DVR that allows the user to access it remotely from both the internet via internet explorer and/or select 3G smart cell phones including your Blackberry, Android, iPhone and iPad. 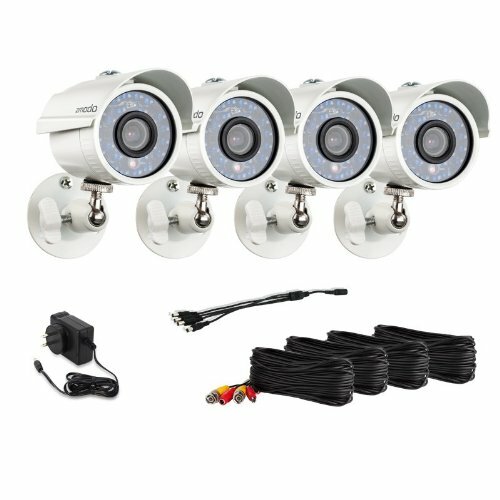 The PKD-DK4216-500GB includes 4 indoor/outdoor night vision cameras with 60ft of cable per camera, a pre-installed 500GB security hard drive and a simple point and click interface all combined into an easy to use H.264 smart DVR. 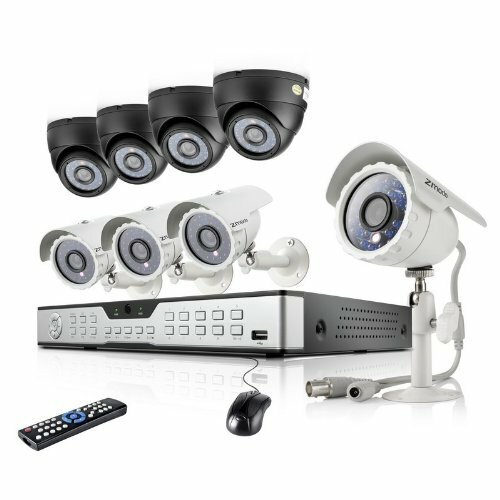 This 8 channel 960H security system has been equipped with completely new features. Innovative QR-Code scan connectivity allows you to quickly and easily connect to your smartphone, tablet, or PC. Coupled with 700TVL high-resolution cameras, this system produces the clearest analog surveillance image possible for exceptional viewing on widescreen monitors or TV screens, all while maintaining image integrity. DVR Features H.264 Hardware Compression Video Input / Output: BNC 8/BNC 1 Video Output: VGA Audio Input / Output: RCA 8/BNC 1 Recording Mode: Normal Recording/Intelligent Recording/Motion Detected Recording/External Alarm Triggered Recording IR Remote Control PTZ via RS-485 Port Supports Remote View via Smartphone & 3G Mobile with each of these systems: iOS 6 up, Android 2.3 up Camera Features 1/4" Color CMOS Image Sensor 700 TV Lines, Horizontal 3.6mm Lens Signal: NTSC Night Vision Min. Light: 0.1 Lux (IR On) IR Irradiation Distance: up to 65ft-80ft 24 IR LEDs Operation Temperature: 14 Degree F 122 Degree F / -10 Degree C 50 Degree C Weatherproof: Yes Power Connector: RCA 12V DC Package Includes (1) ZMD-DX-SIN8 8 Channel 960H DVR, Hard Drive Not included (4) ZMD-CBH-BUS23NM High Resolution Bullet Camera (4) 59ft (18m) Video + Power All-in-one Cable for Security Camera (1) 12V/1500mA Power Supply for Cameras (1) 1-4 Splitter Cable for Cameras (1) 12V DC Power Supply for DVR (1) Mouse. With this Day Night Security Camera, you can keep an eye on the people and places you care about most. 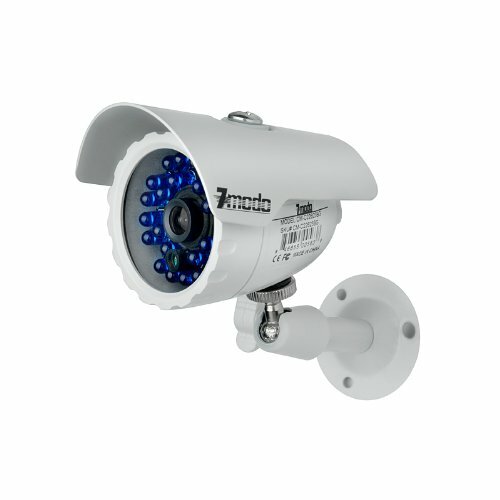 This weatherproof camera with 480TV Lines delivers video a long operating life, reliable operation, and high value. This camera can capture video in darkness mode up to 66ft away with 24 built in IR LEDs. This Day Night Security Camera can be used both indoor and outdoor, and can be installed for the perfect viewing angle easily. BNC and RCA connections are used for video and power. This combination works great at an affordable price. It is hassle free and easy to install, just plugs and play. 1/4" Color CMOS Image Sensor. 480 TV Lines, Horizontal. 3.6 mm Lens. Signal: NTSC. Night Vision Min. Light: 0 Lux (IR On). IR Irradiation Distance: up to 66'. Operation Temperature: -25F~122F. Power: 12V DC. Mount: Ceiling or Wall. Video Connector: BNC. Power Connector: RCA 12V DC. Package Includes. (1) CM-C22623BG Outdoor IR Security Camera. This 720P high definition wireless IP camera provides a complete, cost-effective network video surveillance solution, ideal for monitoring homes, small offices and retail businesses. Featuring a 1/3" progressive scan CMOS sensor and a 3.6mm wide viewing angle lens, this compact camera is capable of delivering high-quality HD imagery in 720P.A SD card slot offers a convenient option for local video storage and also eliminates the possibility of data loss due to network disconnection. 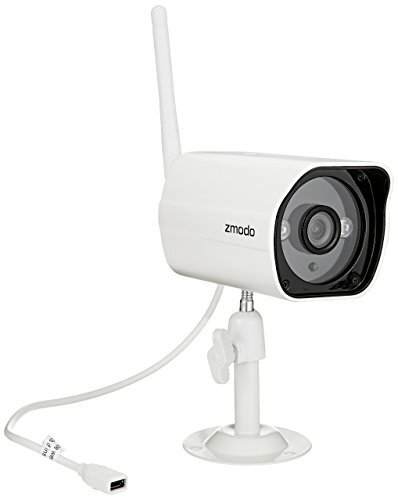 You can integrate this wireless camera with your network via a high-speed 802.11b/g connection. Compatible with the ONVIF(Open Network Video Interface Forum)standard, this network camera works smoothly with other surveillance devices for hassle-free upgrades in the future. 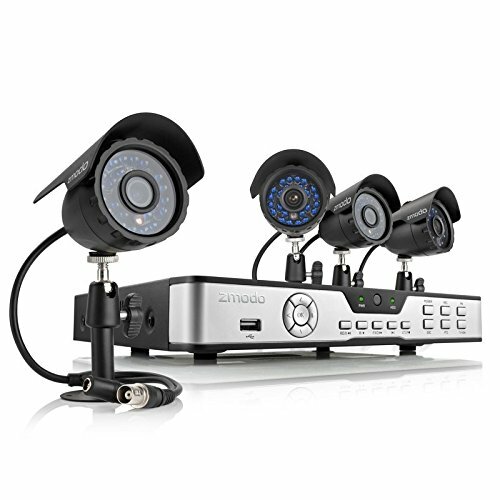 You can easily add as many ip cameras as you want in the future to monitor multiple places. 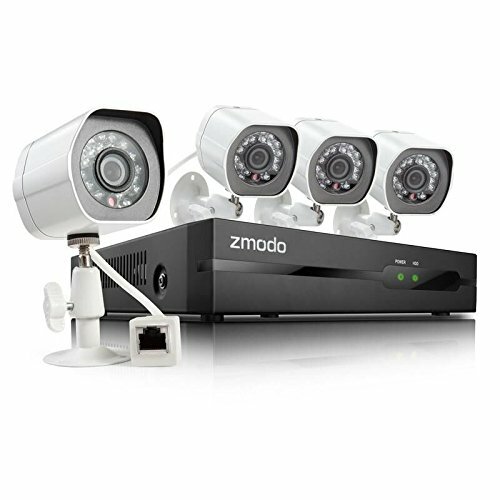 With our advanced Zviewer PC software, you can manage all these cameras together. 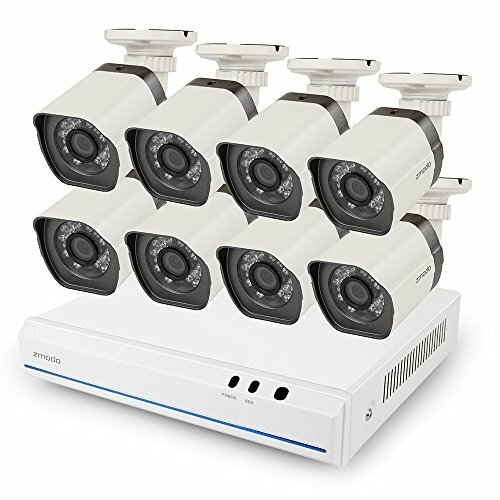 You can view up to 8 cameras simultaneously in one screen. 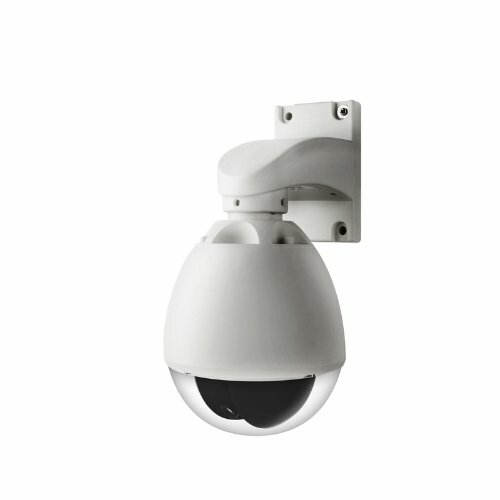 CM-T1001BG is a versatile indoor/outdoor Pan Tilt Camera that can be used in a variety of Surveillance applications. 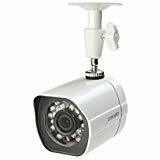 The Pan & Tilt weather-proof security camera CM-T1001BG with 1/3" Sony color CCD, supports 0 Degree to 360 Degree endless Pan rotation and 0 Degree to 90 Degree Tilt rotation, through the RS485 connection and has 32 presets included. 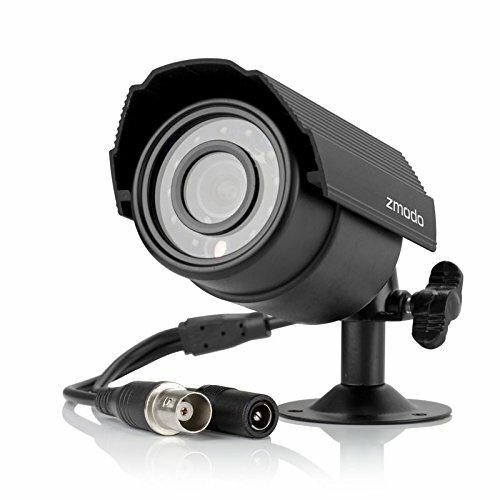 This camera is perfect for monitoring very large areas, control the camera's Pan Tilt via DVR or PTZ Controller. 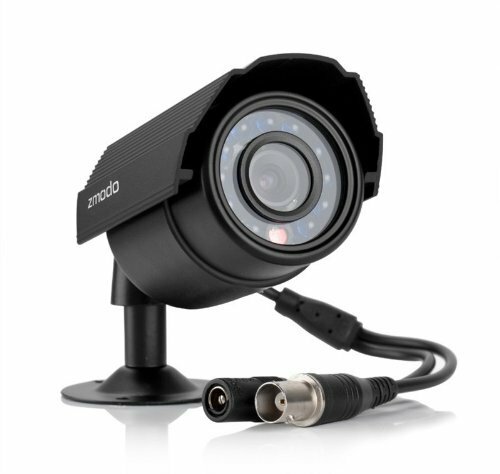 With 420 TV Lines, this camera can produce high quality picture with high resolution. The camera can be used indoor and outdoor. 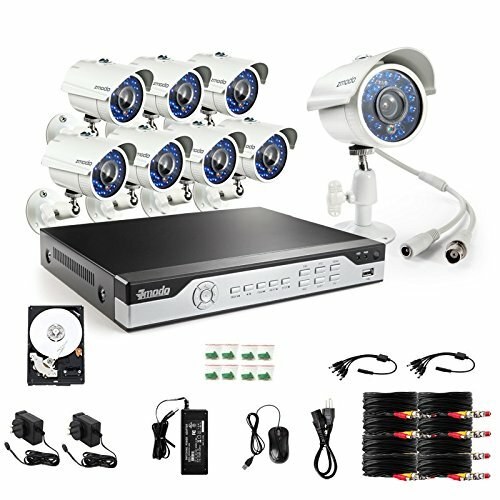 Overview This 8 channel 960H security system has been equipped with completely new features. Innovative QR-Code scan connectivity allows you to quickly and easily connect to your smartphone, tablet, or PC. Coupled with 700TVL high-resolution cameras, this system produces the clearest analog surveillance image possible for exceptional viewing on widescreen monitors or TV screens, all while maintaining image integrity. DVR Features H.264 Hardware Compression Video Input / Output: BNC 8/BNC 1 Video Output: VGA Audio Input / Output: RCA 8/BNC 1 Recording Mode: Normal Recording/Intelligent Recording/Motion Detected Recording/External Alarm Triggered Recording IR Remote Control PTZ via RS-485 Port Supports Remote View via Smartphone & 3G Mobile with each of these systems: iOS 6 up, Android 2.3 up Camera Features 1/4" Color CMOS Image Sensor 700 TV Lines, Horizontal 3.6mm Lens Signal: NTSC Night Vision Min. Light: 0.1 Lux (IR On) IR Irradiation Distance: up to 65ft-80ft 24 IR LEDs Operation Temperature: 14 Degree F 122 Degree F / -10 Degree C 50 Degree C Weatherproof: Yes Power Connector: RCA 12V DC Package Includes (1) ZMD-DX-SIN8 8 Channel 960H DVR (1) 1TB Hard Drive (8) ZMD-CBH-BUS23NM High Resolution Bullet Camera (8) 59ft (18m) Video + Power All-in-one Cable for Security Camera (2) 12V/1500mA Power Supply for Cameras (2) 1-4 Splitter Cable for Cameras (1) 12V DC Power Supply for DVR (1) Mouse.